The Sandals Foundation – the philanthropic arm of Sandals Resorts International – is celebrating 10 years of fulfilling its promise to the Caribbean community of investment in sustainable projects that improve schools and build capacity in the education system, restore and conserve marine wildlife and help marginalized people transform their lives through training and other community development programs. Called #FaceTheCaribbean, guests across the company’s 19 Sandals and Beaches Resorts will have the opportunity to change the face of the Caribbean for generations to come — whether they choose to donate in support of a particular project, participate in the Pack for a Purpose program and bring needed supplies to local schools, purchase merchandise and items from Caribbean Artisan Collections available in the Sandals and Beaches Resort Shops or get hands on through unique voluntourism excursions, such as the Reading Road Trip, that take them directly into local communities. Since its inception in 2009, the Sandals Foundation has worked with its extensive network of donors, volunteers, partners (including the Canadian travel trade industry), team members and social media activists to build schools, outfit computer labs and libraries, foster youth engagement through sports programs, manage marine protected areas, offer free medical, dental and eye care, provide women with the tools they need to thrive, and much more. To-date, the Foundation has raised $11,182,955, impacting well over 850,000 people in the region, with the overall dollar amount of projects and programs implemented valued at over $58 million. Environment: In partnership with CLEAR Caribbean, established restoration programs inside Saint Lucia’s Soufriere Marine Management Area and trained local stakeholders to build, install and monitor two coral nurseries. So far, over 2,000 corals have been propagated. Endangered Species Conservation: Provided education and resources to impact the ecological conservation and protection of important species including the Grenada Dove, Sea Turtles and Parrotfish. Additionally, the Foundation has worked with land-based organizations to protect fauna and flora including the Lansan tree — unique to St. Lucia and Winward Islands – which has been victim to deforestation and over exploitation for its aromatic white resin used locally as incense. As of Feb. 1, 2019, all resorts have eliminated Styrofoam. The company is currently exploring opportunities to eliminate other plastic across its resorts by September 2019. Environmental sustainability is critical to Sandals and Beaches Resorts’ core mission, and the company has earned its place as the only hotel chain in the world to have all of its resorts certified by the EarthCheck benchmarking and certification program, with nine resorts currently holding Master Certification. All resorts ensure environmental policies are put in place to reduce the companys overall carbon footprint, as well. With the help of partners, key stakeholders and volunteer team members, the Foundation is committed to engaging 100,000 people in environmental protection and conservation over the next 10 years. This commitment includes working with schools and educators to integrate marine education in their lesson plans, spearheading hands-on field trips to protected areas and engaging residents in coastal communities on proper solid waste management programs. The Foundation pledges to strengthen the resilience of coral reefs in the region, with a commitment to plant 30,000 coral fragments onto reef systems over the next 10 years. As part of this, locals will receive training in coral restoration, and guests at Sandals and Beaches Resorts will be able to participate in coral planting dives. 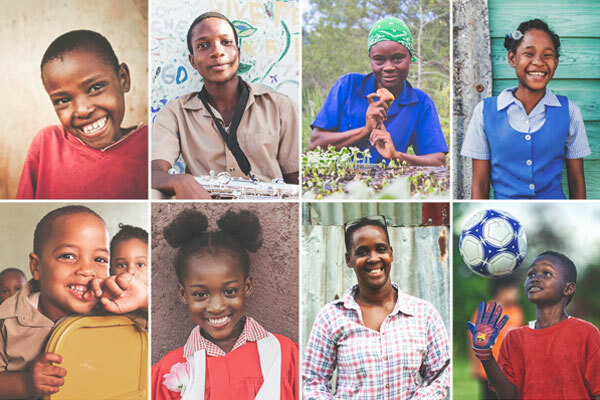 For more, go to www.sandalsfoundation.org or to view its annual report, visit https://sandalsfoundation.org/Sandals-Foundation-201-Annual-Report.pdf .